Immerse yourself in the history of Genoa, in a multimedia exhibition experience through two centuries of lights and shadows, memories and trophies. The Museum of the History of Genoa CFC is the means of conveying a project, the central character of which, is the Genoan Community. Genoa CFC is the oldest football club in Italy, founded on 7 September 1893 by a group of British citizens. It boasts a rich legacy of records and achievements in the history of national football, with its historical origins intimately linked with the civil and social history of the city of Genoa itself. 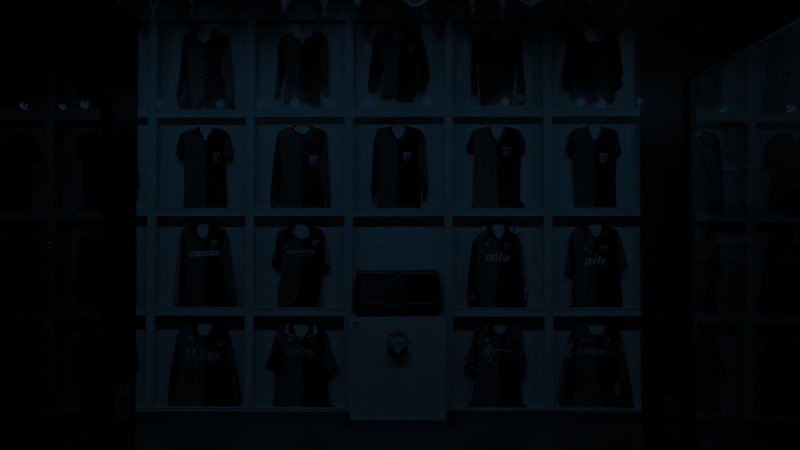 The Museum of the History of Genoa, located on the first and second floor of the Palazzina San Giobatta, recounts the history of the Genoa Cricket and Football Club from its birth, and in 2010 received the status of “Museum of significant cultural interest” from the Ministry for Cultural Heritage. Become a protagonist of our history. The Museum of the History of Genoa is located in the heart of the Old Port within Palazzina San Giobatta, a tourist destination for visitors of the area. It is a structure of several levels representing an intertwining of ancient and modern styles, a blending of sport and culture, a repository of values and feelings. Closed on: 1st January, Easter Day, 2nd June, 15th-16th August, Christmas Day and 26th December.